Try making this flavorful Mongolian Beef dish that features a delicious ginger garlic sauce with tender pieces of beef served over rice. Step 1: Put oil in the Instant Pot and turn to saute function to heat up. Step 2: Brown meat in the oil and season with a little salt & pepper. Do this in batches to avoid overcrowding. Step 3: In a small dish mix together soy sauce, water, brown sugar, garlic, and ginger. Step 4: Pour mixture over meat and stir. Close lid and set timer to 12 minutes (manual) HIGH setting. Step 5: When finished, carefully turn vent to quick release pressure. Step 6: Whisk cornstarch with water and pour into pot. 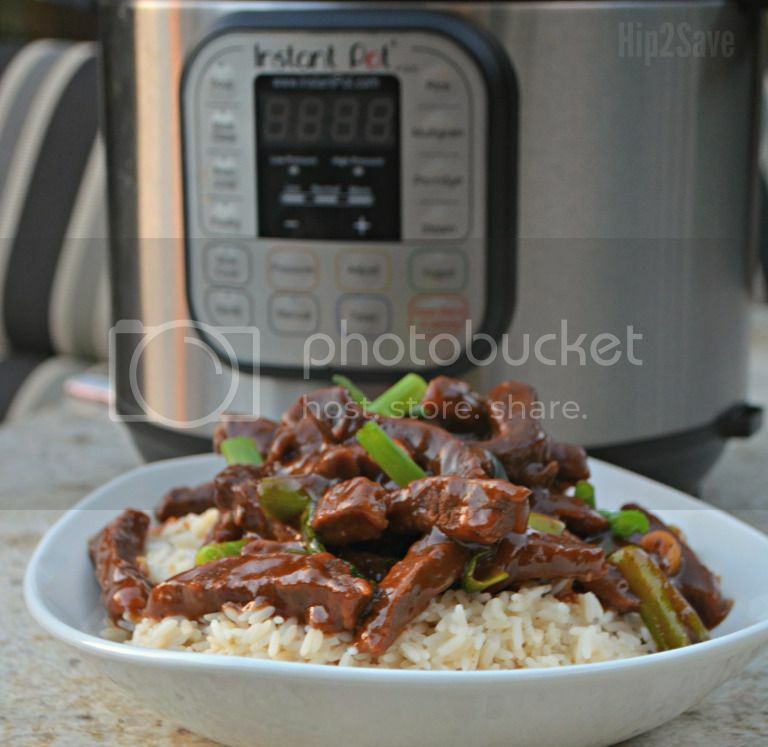 Stir and turn Instant Pot on saute function to heat up again to thicken. Keep stirring until thickened and turn off pot. Step 7: Add in onions and serve over rice.